Avoiding rental problems can sometimes be a major concern. Knowing your responsibilities as a tenant or landlord is usually the first step to resolving a dispute. The Fact Sheet for Tenant and Landlord Responsibilities is a handy guide to learn about your responsibilities. Read it here. When problems cannot be resolved between a landlord and tenant, legal action is usually the option. The Residential Tenancies Branch can help solve your rental problems. 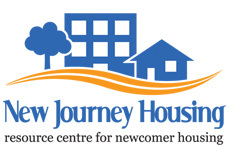 You may contact New Journey Housing to seek for assistance about your rental problems.